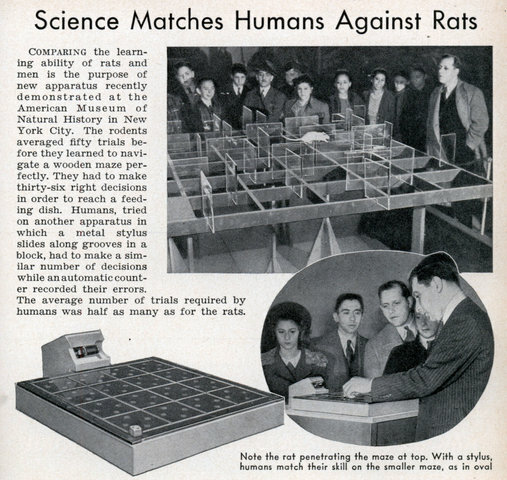 Comparing the learning ability of rats and men is the purpose of new apparatus recently demonstrated at the American Museum of Natural History in New York City. The rodents averaged fifty trials before they learned to navigate a wooden maze perfectly. They had to make thirty-six right decisions in order to reach a feeding dish. Humans, tried on another apparatus in which a metal stylus slides along grooves in a block, had to make a similar number of decisions while an automatic counter recorded their errors. The average number of trials required by humans was half as many as for the rats. 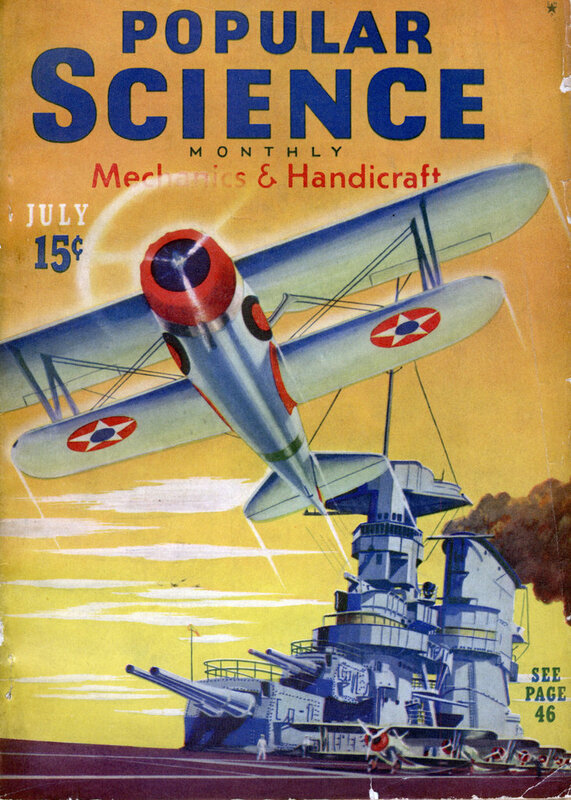 Science? No way. It’s not a fair comparison, the human subjects can see the whole maze in a single glance, while the rats can only see the bit in front of them.